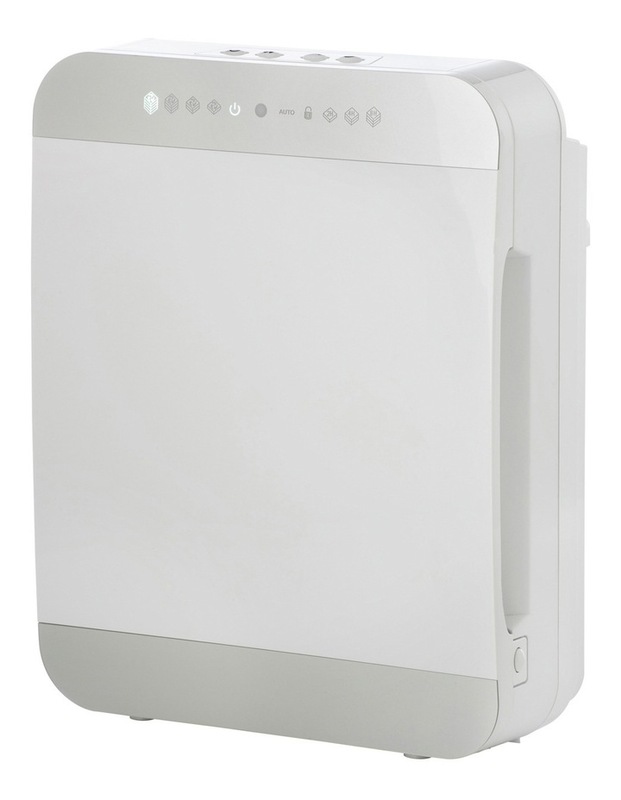 Air Purifier 20m2 Cli-AP20. Ideal for room up to 20m Household air can contain a mix of allergens such as dust, pollen, pet dander, mold spores, dust mite droppings as well as bacteria and odour. The Cli~Mate Air Purification System reduces the concentration of these air contaminants, creating a cleaner and healthier home environment. Improves the quality of the air in your home by helping to reduce airborne contaminants such as allergens and unpleasant odours. Helps to rid indoor air of allergens such as dust, pollen, pet dander, mold spores and dust mite droppings. 3 filtration levels in one HEPA filter removes 99.5 % of particles as small as 0.3 microns and greater from the air. Pre filter captures the larger particles to enhance the durability and performance of the other filters. Activated carbon filter absorbs common household odours, VOCs, cigarette odours, chemical fumes and smoke. Auto-mode option. A pre-progammed cycle will run different fan speeds alternativaly in order to clean the air progressively assuming the room air quality is poor at the start of the process until the air is perfectly cleaned. Quiet Sleep Mode An ultraquiet mode that won't disturb your precious time in bed and will keep a clean air for better breating and improved sleep. Approved by the National Asthma Council Australias Sensitive Choice Program.